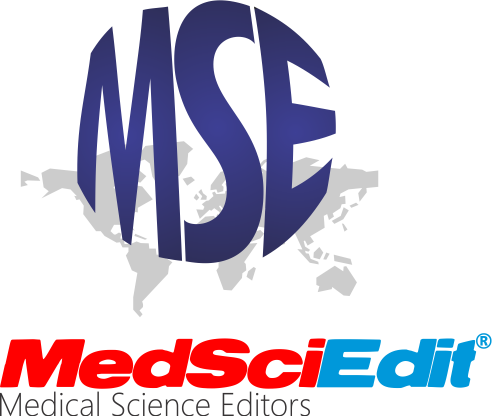 MedSciEdit® is the business name of Medical Science Editors. Manuscript submission and handling shall be in accordance with the following terms and conditions. We shall expeditiously carry out proofreading and editing of all manuscripts submitted and return the revised versions to the authors with very minimal delay. For example, barring unforeseen circumstances, such as might be occasioned by sheer volume of manuscript submissions, a 20-page manuscript should be ready within 24-48 hours. Manuscripts intended as journal articles will invariably be ready within this time frame. However, as expected, larger manuscripts such as books, will take longer periods to edit and proofread. We are also mindful of the need to match speed with accuracy and thoroughness. The authors will be notified of any likely delays and justifications for same when such become inevitable. Notwithstanding this, we guarantee very prompt and speedy proofreading and editing. Authors should monitor the progress of work on their manuscripts by logging in and following the link provided. Manuscripts submitted will be handled with utmost confidentiality, and shall not be accessible to a third party. Full payments must be made prior to commencement of proofreading and editing. Editing commences on the date of full payment. Authors should ensure that they provide clear and accurate email addresses for ease of contact. MedSciEdit® shall not be liable for failure of communication due to incorrect email contact. Payments once made, are not refundable, since editing commences immediately following payment. In consequence thereof, all authors must ensure that the decision to send us manuscripts for editing is supported by all the contributors. MedSciEdit® will assume that this condition has been met once payment is made, and so will not entertain any request for refund based on any disagreements amongst the contributing authors. On our part, we protect authors by requesting payment ONLY after prior examination of the submitted manuscripts to ensure that they fall within our categories of interest. Manuscripts that do not conform will be promptly rejected and deleted from our website, and the authors will be informed. Naturally, payment will not be expected in respect of disqualified submissions, despite their prima facie assessments. Once payment is made, MedSciEdit® is obliged and indeed is committed to deliver. Should a situation arise where authors are dissatisfied with the quality of editing and proofreading done, the affected manuscripts will be amended by MedSciEdit® to the satisfaction of the authors, and at no extra cost. However with the quality and reputation of our editorial staff, this situation has never arisen, and is not likely to arise in future. MedSciEdit® does not keep a database of treated manuscripts. Once an edited manuscript is sent back to the author(s), we allow a period of 7 days after which if no complaints/queries are received, the files will no longer be available on our website. Authors retain the intellectual property rights of all manuscripts submitted to MedSciEdit®. We lay no claims to these. MedSciEdit® shall not accept liability arising from any damages in whatever form, incurred by authors in the course of using our services, be they related to data loss, personal injuries from computer, or damage to computer software etc. It is the responsibility of authors to create appropriate back-ups for all manuscripts submitted to MedSciEdit®.